Today on the Edge of Innovation, we are talking with Brian Gravel about The Amazing New World of Drones. Paul: So, if you were to split up, or we’re talking sort of about media production here but you do a lot of websites. Do you do any book publishing or things like that? Or document creation? Brian: I mean, we have done traditional print materials on the design side. We’ve sourced out printers and local artisans, if you will to do the actual physical creations. But most of our, our work ends up, is in the digital space, and then we outsource anything, you know. We’re not printing any materials really, in-house or anything like that. Brian: It’s pretty crazy. Right? Paul: Yeah, it’s just like, oh my gosh. So, I’ve been watching drones. I don’t own one. I don’t play one on TV. And you know, drones are anywhere from the tiny little things that you can go to Brookstone and buy, and they have bigger ones too, all the way up to military drones, that are 15, 20 feet long, 50 feet long. I’ve seen those. Recently went to the air and space museum, and they have some drones there. And they were like…well, these are huge. I mean, they’re like airplanes. It’s like a Cessna. First of all, what, what got you thinking about drones? Brian: Yeah. I think probably in 2012, 2013, we consume a lot of media, through different sources online. And, our video team kind of had their eye on, like, wow, there’s a lot of drone footage popping up. And then, I think, the company DJI, which is the brand that we use, really, got out at the forefront of focusing on kind of this prosumer level style of drone. It wasn’t really, though, the one you’re buying at BestBuy now, but it also wasn’t your military style investment where you’re spending $100,000. They were, they made it kind of like the DSLR boom, with like Nikon and Canon and companies like Sony, that they made quality product affordable. And when we started seeing that we took what we were doing video-wise, and we were thinking like, “Well, what can a drone replace?” It can replace a dolly. It can replace a crane shot. It can replace… It gave you all these tools in a fairly inexpensive package. We were already using GoPros at the time and their Phantom series interfaced with GoPro. So it made sense for us. Like, “Let’s get one and try it out and see what we can do.” And, it became a love affair after that. Paul: Okay. So that was pretty much the Wild West, compared to where we are now. I mean, things have progressed quite a bit. Brian: Things have happened fast. Paul: So back then, there were no rules, per se. Brian: There were rules, but it was very gray. Things were always changing. You know, there was no… There was- the process was very convoluted to how to do things by the book. Paul: So let me as you this. How heavy is your drone? Brian: Our drone…it’s probably the size of, like maybe a backpack, I guess I would liken it to. And it weighs probably about 10 pounds. Paul: 10 pounds. Really. Okay. Brian: Yeah. It’s not super heavy. Paul: Alright. But it is over the limit. Paul: So I was just reading an article about this. And apparently, if you have a drone that’s over five— 0.55 pounds up to 550 pounds, you have to have a license to fly it for commercial use. So taking pictures. Brian: Hmmm. Are you talking about registering it? Paul: Registering it. Yeah, you have to register anything over 0.55 pounds. Paul: And then… I mean, you as a person, just as a, as a consumer. You can go out and buy a drone that’s 54 pounds. I can’t imagine buying a 54-pound drone. Like, how much money would I have to spend for that? But you have to register that. Over 55 pounds, there’s a whole bunch of, a whole different role. Now, from what I understand, and I know we’re not experts on this, but I think it’s a good discussion for people to hear, if you go out and say, “Hey, I’m going to put up a sign and charge $5 for every drone shot I do. And I’m going to sell to my real estate people.” If you’re doing it commercially, you have to have a license from the FAA. Brian: Yes. So there’s two… The, the history behind it is there was at first what was called the FA333 exemption, which was basically like, like, it was more or less a company exemption. So you had all these rules attached to it, specifically one that was very hindering was that the person flying the drone had to have a pilot’s license. Paul: Wow, a real pilot. Brian: Yes. I think the minimum requirement was a sport pilot certificate was basically like the minimum requirement you could have to film…well, to use it commercially, which was still 30 hours of flight school and X amount of time in a plane. So that became very challenging for people to really accommodate. And then last August, they released what’s called Part 107, which is more or less the new set of standards and rules. And in that, you can acquire a remote airman certificate, which is more or less you take a knowledge-based test and based on a passing score, you can get a certificate to fly commercially. Paul: And do you have one of those? Paul: You have both of those? Wow. Brian: We have FAA 333 exemption. And, we also have staff who are Part 107, are remote airman certified. Paul: Cool. Now, just so our listeners are there. I mean, we’re not lawyers, and we’re not giving you legal advice. But you need to be careful about this stuff. If you go out and buy a drone today, and it weighs less than 0.55 pounds, you don’t need to do anything. You can just fly it. Do whatever you want. Brian: Yeah. I mean, if you have that Brookstone drone, you’re pretty safe. But there’s a lot of drones that you can buy. I mean, you can buy a pretty decent drone at Best Buy and I just saw some stuff that may change that. If you’re flying as a hobbyist, you don’t have to register it. Paul: Right. That’s the big loophole. Brian: Yeah but as of right now, you’re right, if it’s over that weight, you’re supposed to register the drone regardless of if you’re flying it commercially or just for fun. Paul: So if you do buy a drone that weights a pound you need to register with the FAA. It’s an easy process. Brian: It’s an easy process. It’s like a $5 registration fee. Paul: Right. Now there is a difference though between me, you know, just general citizen, and you, a company. I understand you guys actually have to file flight plans. Brian: Flight plans, dependent… Like Boston and greater Boston are particularly tricky areas to film because there’s a lot of airports in close proximity to kind of like the places where people want to capture media. With the 333 exemption you had this blanket certificate of authorization. Brian: And that gave you certain filming capabilities within X amount of miles from the airport. I think it was five or seven, depending on the space. Now, basically if we wanted to fly in Beverly, you file for a certificate of authorization to go along with the pilot in command’s remote airman’s certificate. So yeah, there’s some processes. Not to mention if you’re flying commercially, you definitely want to carry insurances, but for both the drone and for the company and liability so… Yeah, what I’ve seen is there’s a lot of people who are getting into the commercial aspect inside of it a little willy-nilly and not thinking through all these other things that go along with it. But, you know, there are also a lot of people out there and you know, one-man shops and guys who are out there starting businesses just based on drone usage and flight, that are doing things the right way and really trying to take advantage of a market. We’re kind of somewhere in-between. You know, we’re using it as a tool in addition to our video production services. Paul: Right. So you’re actually producing some sort of show or video — an end product. You’re not just coming in and saying, “Hey, I want you to…” Do you do real estate? Brian: Yeah. It’s that shot you can’t see. You get the big picture. And it’s funny how mentally, you know, when you start that wide, like 200 feet looking down at something versus shooting something on the ground, it kind of tells that story of where you are. Paul: Right. Yeah. I mean, I think it’s fascinating because we’ve never really… Roll back 20 years. You’d have to get, rent a helicopter, you know. Or maybe out of a plane. But it was unique. And there was very little time for normal citizens, normal consumers, to actually be at 200 feet. They just couldn’t see. You know, because when you take off, you go to 30,000 feet pretty instantly. So this is a very new view. And it’s cool. Do you think that will wear off? Brian: Maybe a bit. It could be, it could be a little faddish. However, I think what I’ve seen in the drone market, at least, is people thinking of different ways to use them. Paul: So what have you seen? Brian: Surveying, mapping, inspections search and rescue, you know. I’ve seen… Take any industry, and people are finding ways to apply drones to it. When you mentioned Wild West, it really is that. That feeling that’s a bit of a Gold Rush in certain regards because people are just trying to find ways to take this device and apply it to a business. There’s a company over in Danvers for a while that I thought had a really unique model. They were doing construction asset tracking with a drone. So basically, they were taking these RFID-type devices, embedding them into concrete, and then the drone would fly over, ping these devices, so they could figure out how much material they had on the ground at any given time at a construction site. Paul: Oh, that’s a cool idea. Brian: Yeah. So that’s the stuff that goes beyond just putting the drone up and getting that picture from 200 feet. Right? Paul: Exactly. So you sort of should have a drone exploitation division. How can we better exploit the drone? Paul: Right. What do you think about Amazon using drones, potentially for delivery? I mean, they’re testing it. When it came out, it sounded like a joke, when the first announcement came. But it turns out, I think it’s going to be real. What’s your thought on that? Paul: But they are pretty far apart. I mean, they are a couple of miles apart, at least. So I mean, but I think the Wild West thing is this whole drone… Like, what if there are 10 drones in the area, and they hit each other, and they’re not really trackable on radar, certainly for the smaller ones? Brian: I think that’s where one of the things that separates out… You know, the technology is just moving so fast. I mean, even, even a drone you buy off the shelf at Best Buy has avoidance collision and all these safety mechanisms built into it. Now, not saying that they’re foolproof. But I mean, the technology is really driving the product. So I think that crashing is less of a worry more. I think it’s going to be more of, in particular case of like Amazon, like, how much of a, of a noticeable nuisance is it to the people on the ground where that product… You know, specifically if they’re having like delivery drop-off points or something like that and you’re near one. Paul: Yeah. All the time, All the buzzing. Brian: Think about how many packages I get from Amazon just delivered by ground. I’m like, “Hmmm. I wonder if my neighbors would be really pissed if I had a drone coming to my house every other day.” So, yeah. I don’t know. I mean, I have mixed feelings on it. Our drone, it’s fairly quiet. It sounds like a really loud bee, I would say. But you know, there’s a noise factor involved. As you mentioned, they’re a lot different proximity to you than like a plane in the air. But, I don’t think it’s going to be like that commercial where the people are walking out of the building and all these drones are buzzing overhead. I think that’s a little extreme. Paul: So… Alright. So we go out. We go to BestBuy. We buy a drone. How much is it going to cost me? A thousand dollars? Brian: Yeah. I mean, a thousand dollars, you can get a pretty decent model drone. You, definitely can get them under that pricewise. But a thousand dollars, you’re really paying… There’s three parts of a drone that you’re really paying for. You’re paying for the, the drone itself, which is the, you know, the aircraft, and that’s going to, that’s going to have certain features and functionality, depending on your price, just like a camera would. Then you’re paying for the camera itself. You know, the quality of the footage. Are there detachable lenses that go with it? The functionality of that. And then really, the unsung hero of it is the gimbal, which is the piece that attaches the camera to the drone. And depending on the quality of that and the functionality in that, that’s really what delivers the stabilization. So, you know, when a lightweight drone that weighs five, ten pounds like ours does is getting pushed around in the air, you know, that, that gimbal is holding that camera in place to give you that smooth shot and adjusting with it. Paul: Okay. I imagine there’s like probably infinite numbers of those of you can buy, all different qualities. Brian: Most people, if you’re going to BestBuy, you’re buying what’s most likely what’s called the ready-to-fly system, which is basically like all those pieces are going to be together. So you’re not really assembling it as much. You’re not, you’re not really swapping out parts. It’s kind of like, you know, get it, turn it on, register it, and you’re good to go. Paul: Okay. Well that’s good to… I mean, I think that’s important. He said something there. You might have jumped over, but he registered it. And you’re not talking like warranty registration, you’re talking FAA registration. So that’s important because, you know, you’re going to be flying. And I have a good friend that’s an air traffic controller, and they’re special people. I mean, they have the attention of… I mean, they’re looking at so many pieces of information. And now drones have the potential of mixing that all up, you know. And you have a pilot flying and sees a drone and gets sort of, oh my gosh, and has to move. And then there’s this impact in the air traffic control world. And so you need to do all those things. So okay. We go to Best Buy. We, we set it up. We charge it. We register it, and I go outside just for fun. What can I do? Can I just fly it over my neighbor’s house? Can I fly it up and down the street? Brian: Yeah. You know, you bring up an interesting point and one that comes up in a lot of the legal discussions and privacy discussion is, you know, if I own a piece of property, what do I own? How far up? Paul: How far up the atmosphere does it go? Brian: Right. you know we, as a company and as a person, we’ve always taken the approach of best practices as much as possible as far as we realize that people are concerned about these things in that they don’t want it hitting their space or capturing their space in a lot of cases. So we try to be very respectful of that. Paul: Sure. Of course. Commercially, of course. Brian: Yeah. Commercially. Even when I go out. I’ve done just test flights and stuff in my neighborhood, and you know, I try to be respectable, respectful of how close it is to anything, how low it is, you know, where it’s flying over, just because it’s a lot different if you’re in a field or a park than it is when you’re over a neighbor’s house or in a neighborhood. Paul: Yeah. 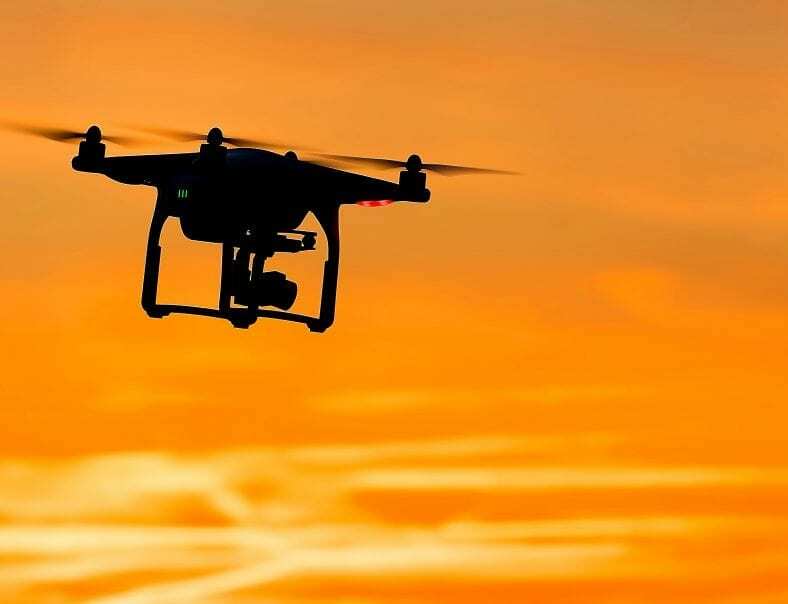 I’m not sure about this, but I think it’s the case that recently there was a ruling that you can shoot down a drone over your air space, if you will. Brian: Yeah. I don’t know. I don’t know about the law or the ruling on it. But yeah, some people have taken it to that extreme. Paul: Yeah. Or just a big net or just put big covers over everything. Brian: I don’t know if that would be in the Boston area but, you know, you get somewhere out a little more rural, you probably run that risk. So it’s sort of the Wild West in that kind of stuff is that you need to — and I think it’s what Brian’s saying here is you need to respect the area, but we’re in a new world, you know. Brian: The FAA has put out a lot of educational pieces for both hobbyist and commercial vendors on what to do, safety, rules and regulations. Paul: There any good sites you could recommend? Brian: Yeah. BeforeYouFly. I can give you the link. That one is a pretty good one. There’s a few out there that are just like good quick resources to get information. The FAA site is a government site. Paul: Yeah, it’s hard to use. Brian: A little bit difficult to navigate. But once you have those other links to the outside sites that they’ve partnered with, the information is pretty concise and clear and documentation on it is pretty good. Paul: Right. So now, it used to be years ago that you’d go out and have your portrait taken as a family. You’d sit down with a professional photographer. They’d use professional equipment. They’d tell you to smile and the flashes would go off, and then they’d print these out for you professionally. That whole world has changed dramatically. First of all, with SLRs and there was still a big investment, and it wasn’t instant. And then digital came in, and now everybody can be a photographer. And I can take lots of pictures that I never print. I just have them in my computer. And the same thing, I think, is happening in the drone world, you know. So because we talk about a lot of people with their websites. And they’re using stock photos. And it’s, to me, it’s a death knell. You don’t want to use a lot of stock photos. Stock video is completely different than stock photos, but they just look like stock photos. Brian: You mean guys shaking hands, corporate woman. Paul: Yes. And so, you know, we say run. Let’s find a professional photographer that can take good photos of you and your team and your assets and things like that. And they make such a big difference. So I think the same goes for drones too. I mean, hey, my nephew has a drone. I’ll go and have him take a picture and well that’s going to be better than nothing. It’s nowhere near what some of the… sort of, intangibles of, I imagine what you do is staging it. Do you do storyboards? Do you do things like that? Paul: Yeah. Those are sort of intangibles and a lot of people don’t know what makes a good photo, but they know it when they see it. It’s like, “Wow. That’s incredible.” And I would imagine, you know, for the video, all those rules apply. So I would encourage our listeners, go ahead and play with a drone. Buy one yourself too. But that’s a hobby. If you’re in business, I would seriously talk to somebody like Brian or if you’re not in New England, talk to other people that are doing it and see their demo reels and see what kind of quality they’re doing and talk to their clients too. Brian: Yeah, and I think anyone looking to get in the drone space should really go in with a clear vision of what they want to do with it because your investment, your life blood is what you invest in your equipment. And if you’re buying a drone and you want to get into, for example, like measurement points and surveying and stuff like that, an off-the-shelf drone at BestBuy is not going to do what you need to do. If you want to get into video stuff, how far are you going to take it? Is it good enough to just put the drone up or are you trying to get hired for feature films where you need to put a camera with a payload on it? You know, so yeah, that, equipment investment where you get like the DSLR movement where people can go and buy these things at BestBuy, it’s a great way for people to see if they like it and, and try it out and get good at it, if you will, but it’s like any profession. You’re going to need to invest in the right gear and the time and the training to get to where you want to be as far as growing it as a business. Paul: Right. I guess it’s sort of similar to the, you know, anybody can build a WordPress website, so why do they hire professionals? Well, first of all it’s not your job. I mean, you know, if you’re a plumber, you gotta go out and plumb stuff. And what are you doing building a website? It might be fun. That’s great. Okay, that’s a good reason to do it if you want to enjoy it. But if you’re a business, you really need to think hard about where you’re spending your time. And, yeah, you could become a drone expert but is that the best use of your time? And there’s a lot of people out there who are doing the drone stuff. So I think it’s important to highlight the insurance, the registration, the licenses. Those are all critical because, I don’t know where the liability would be. But if something bad happened, and it were your company had hired company ABC to do a drone shoot, and something bad happened, that would be pretty sad. Brian: Yeah. It was new. It was a new feat for them for sure. But, yeah. I mean, we did go out. We insured the, the drone itself. We had to have a separate rider for coverage as far as liability is concerned. Paul: Now does your insurance company know what a drone is? Brian: Yeah. Oh, yeah. And it’s funny. There’s companies — we just ran into one recently — it’s like an ad hoc insurance model basically like they’re paying like a per day. They’re insuring companies per day for, so you can get like… You know, I’m going out and flying in this location with these sort of parameters, and you can buy insurance for the day to supplement existing stuff. Yeah. So I think one of the interesting things about the drone industry is it’s not just using the drone. It’s the technology surrounding it. It’s the insurances. It’s all these other industries that are on the peripherals. You know, figuring out, well, I guess how they can make money off it. But you know, also figuring out how it’s applicable to what they do.